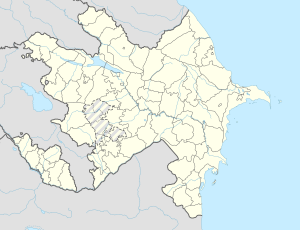 Barxudarlı (also, Barkhudarli, Barkhudarly, and Barkudarly) is an abandoned village in the Qazakh Rayon of Azerbaijan. Barxudarlı is an exclave of Azerbaijan. It is surrounded by Armenia and has been controlled by it since the Nagorno-Karabakh War. Its size is about 22 square kilometres (8.5 sq mi). Today, the village is mostly inhabited by Armenians and is administered as part of the Tavush Province. This Qazakh Rayon location article is a stub. You can help Wikipedia by expanding it. This page was last edited on 8 February 2019, at 22:42 (UTC).